Party is one word which any South American can connect to easily.. Fiesta! After 36 hrs of flight from Bangalore, I arrived in Argentina on the evening of 31st march which happened to be my birthday. Art Of Living makes every day a celebration, but for a lot of people here this was a perfect excuse to begin the Sri Sri Yoga Part II with a grand celebration! Since Gurudev, His Holiness Sri Sri Ravi Shankarji was to visit here in september, every one was looking forward to hear about Him, some adventurous ‘Guru’ stories and each and every bit of my experience with the Master. 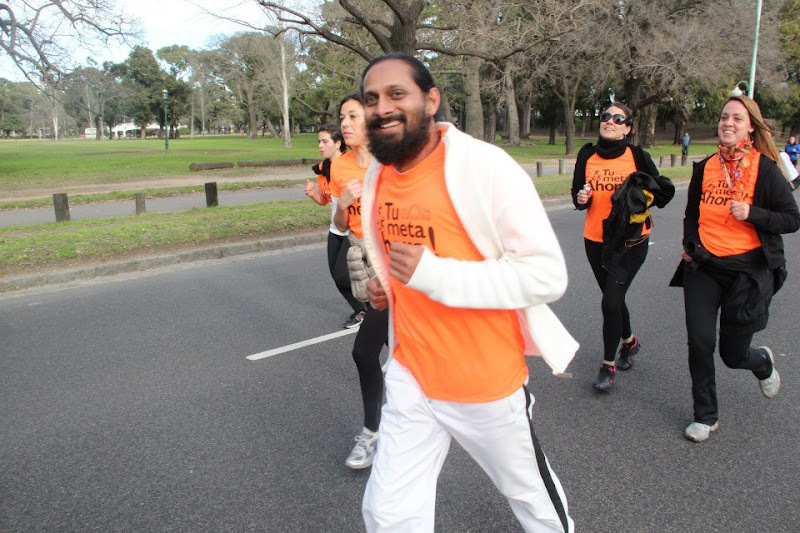 It is interesting that hundreds of thousands of people in Argentina who have experienced immense physical and emotional transformation through various Art Of Living Courses, have only heard about it’s founder or seen Him only in videos!! Since then everywhere I go, which ever car I go in, whichever volunteer groups I meet, through all the satsangs people are only eagerly waiting to know more about the Guru. To me the whole of South America looks like one big happy family, with loving, caring people, who always make you feel at home. Whether it was Argentina, Trinidad, Surinam, Curaçao, Colombia, Venezuela, Peru, Chile, Paraguay, Uruguay, I end up meeting the nicest people everywhere. There were challenges, but then what is knowledge for? However negative a person is he/she can shine through life if they service themselves regularly with Sudarshan Kriya. We did have some heart rendering stories shared. In Buenos Aires, someone shared how they overcame terminal disease like HIV while in Cordoba, there was a recovery from cancer . Many youth in Salta, came out of various addictions, including drugs, while others who were contemplating suicide got the strength to change their decision and choose life. All participants of the programme said it equipped them to handling day to day circumstances, and deal with trouble makers at work, home and society. Each is connected by some thread, something special has touched each life. 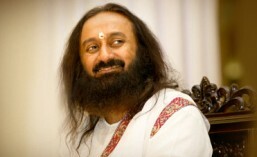 The foundation, Knowledge, profound experiences, service activities or the unconditional love of Gurudev. And that is why they are here….. It is the grandest fiesta for them to see Him for the first time after waiting so long! And every party has to have grand preparations. We are going all out for his visit. Gurudev says that the easiest way to be happy, is to bring joy in someone else’s life! 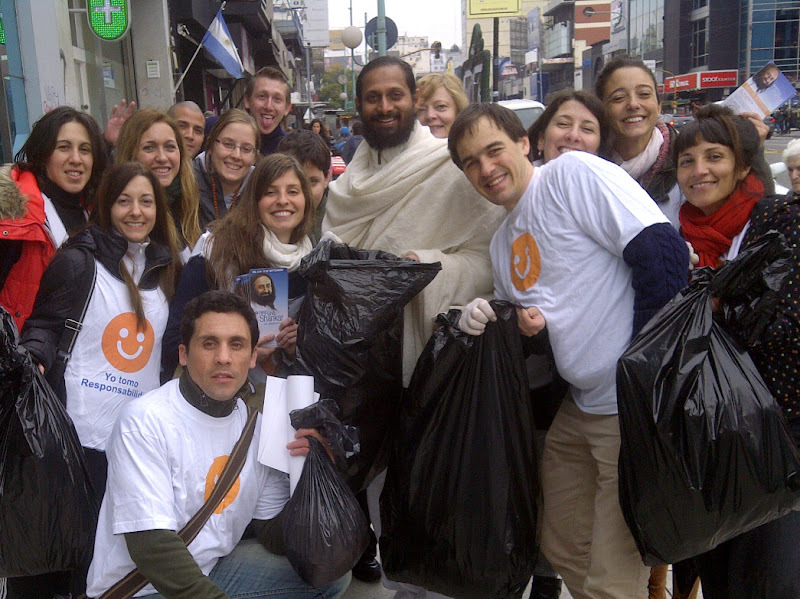 So thousands of people are busy organising and conducting marathons, cleaning the entire city (with clean your city-clean your mind project), encouraging people to write peace messages, talent competitions for children, having regular meditations sessions at different places, along with programme for the prisoners, bringing all the NGOs engaged in service together (With ‘celebrating service’ project), conducting sadhna (spiritual practices)and satsangs (dancing-singing mantras) everyday in all the centres (increasing the positivity of the individual and society), conducting Breath Water Sound workshops for masses (a free programme for various developing areas in towns). Nobody wants to rest here, though the body gets tired, they are full of enthusiasm, joy, love. Doing their best to live through His teachings. Being happy ourselves and serving the society. That is the Art Of Living! Click Here for more such Art Of Living Updates!